The small community of Union is located on the Hood Canal's south shore at the base of the Olympic and Kitsap Peninsulas. It is just a few miles outside the southeastern corner of the Olympic National Forest, near the Skokomish Reservation in Mason County. 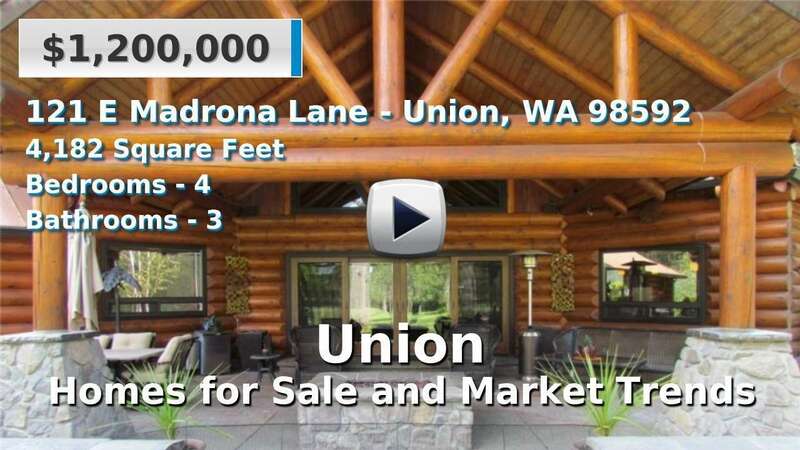 Homes for sale in Union meet the state averages and commuting to Belfair or Shelton is easy as it is nearly equidistant between the two cities. The Hood Canal is a popular family vacation destination; tourists and residents all enjoy the recreational opportunities in this part of the Puget Sound. 2 Beds | 1.75 Baths | 1851 sq. Ft.
2 Beds | 1.75 Baths | 2097 sq. Ft.
3 Beds | 2 Baths | 2350 sq. Ft.